I grew up in the South where everyone drinks sweet tea. I never liked it at restaurants though, and loved my grandma’s, mom’s, and aunt’s sweet tea versions best. I’ll never forget going to to visit my aunt, uncle and cousins in Alabama and looking forward to getting a tall glass of her iced sweet tea that she put a frozen lemonade mix in. 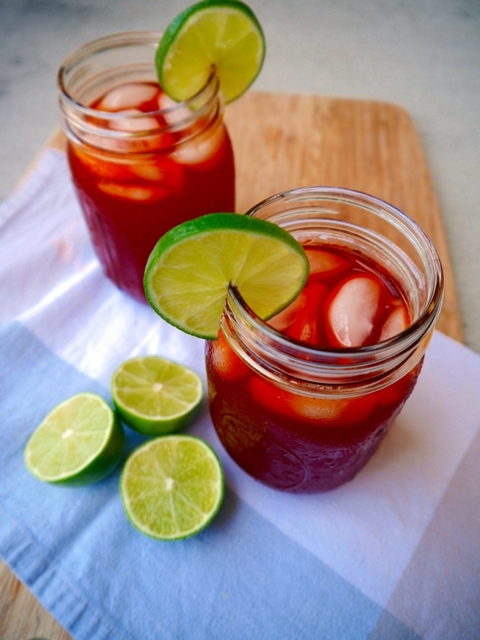 It was so tart, sweet and refreshing—the perfect elixir for after those humid, hot days of playing water wars in the backyard with my cousins. Then when I went to Thailand I had Cha Ma Nao, or Thai Iced Tea with Lime, and it brought me back to those Alabama summer days of sipping iced sweet lemon tea at my aunt’s. Maybe it’s because in Thailand they call Cha Ma Nao in English, Thai Lemon Tea. But the funny thing is, they don’t have lemons in Thailand, only limes. Somewhere along the way someone must have mistranslated to them that in English a lime was a lemon, so that might be why they say lemon goes in their Cha Ma Nao, even though it’s really limes and not lemons! Even though I love Cha Ma Nao, I had never made Thai Iced Tea with Lime at home until recently. We usually always drink water, unless we are having guests over, and then we buy some fun green tea from the Asian store. But after our recent trip back to Thailand and getting to drink Thai Iced Tea with Lime whenever I want, I wanted the same at home. So I finally tried making it at home, and it was easier than I thought! It took me awhile to get the right mix of lime and sugar, but I think I got it, at least the way we like it. 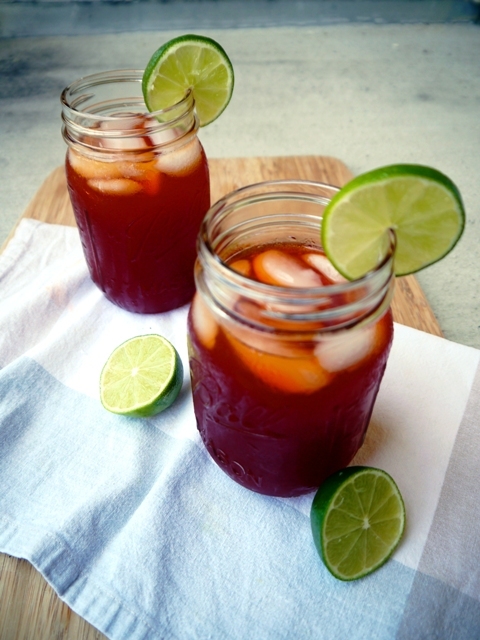 Everyone likes their tea different, so I recommend starting with less lime and sugar, and adding it to your liking! Once you find your favorite combo, you wont want to stop drinking it! But beware, it does have quite a bit of caffeine, which is why it’s my morning drink lately. Hope it refreshes and wakes you up as much as it does us! 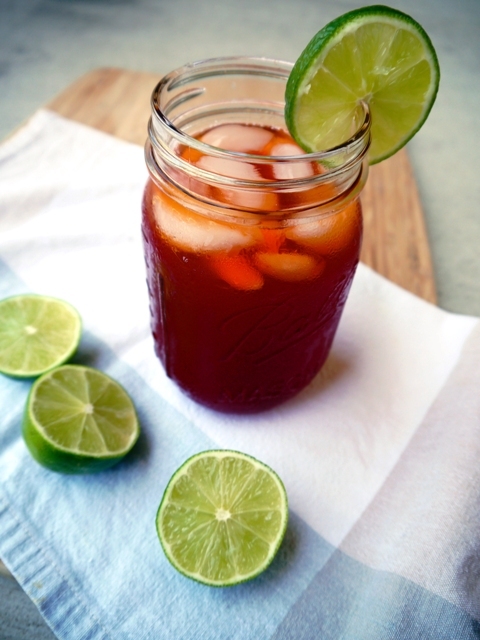 Love the refreshing, sweet, tart taste of Thai Iced Tea with Lime? Make it at home today with this simple recipe! Boil 4 cups of water in a small pot. Once the water has boiled, turn off the heat and add in the Thai tea mix either in a tea sock, tea bag, tea ball, or just put it straight into the water like I do. Let it seep, covered, for 3-4 minutes. Once the tea has seeped, take out the tea sock, bag, ball or use a fine mesh strainer to strain the tea into a pitcher. Add in the sugar to the hot tea, and stir vigorously to help it dissolve. Then add the next 4 cups of water and lime to your liking, and stir. If you use cold water, it might be cold enough to drink now, or just put it in the fridge to cool it down. Pour over a cup of ice and enjoy! If you don't have Thai tea mix, you can always buy it at the Asian store or order it on Amazon . But if you don't feel like doing that, you can also use black tea bags, and add sugar, lime and ice, but it wont taste quite the same. But I'm sure it's still refreshing! 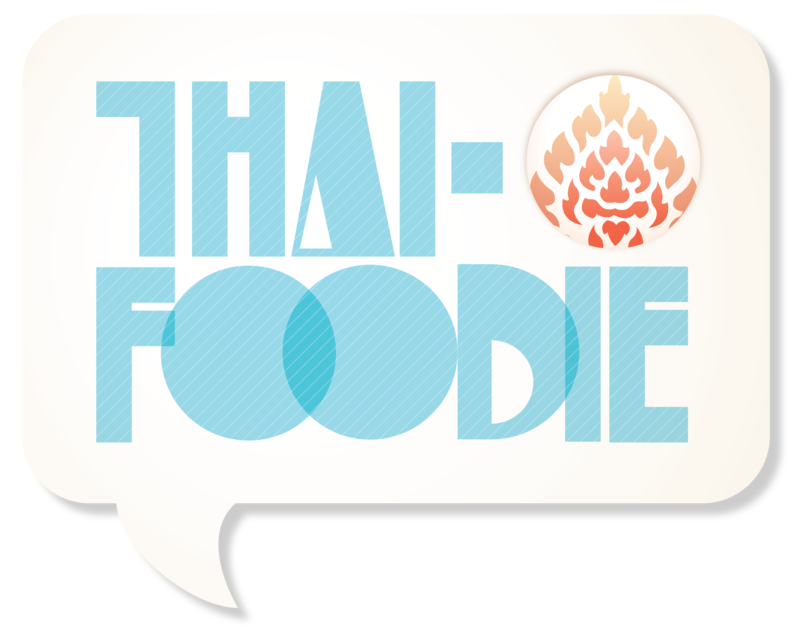 Does my Thai Mother-n-Law like my Thai cooking?